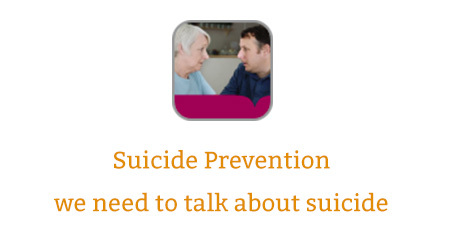 “We need to talk about suicide: helping everyone to feel more confident to talk about suicide” is an e-learning programme that has been developed for the wider public health workforce including voluntary sector, emergency services, prison staff and prison listeners and all staff in health and social care. Almost everyone thinking about suicide doesn’t want to stop living – they just want to stop the pain and distress they are feeling. Talking about suicide does not make someone more likely to take their own lives. Another person showing compassion and care can only make things better, not worse. The purpose of this programme is to support the ambition of reducing the stigma associated with suicide, to help everyone see that simply asking someone how they are and talking about suicide can really help. The programme supports learning and development in suicide competence at Level One. The programme is based on four storylines of people who are at increased risk of dying by suicide. During these four video scenarios, the learner will have the opportunity to reflect on their own learning. The learner will be able to complete the entire programme at once, which takes approximately between 60 and 90 minutes, or complete at their own pace in smaller sections. We are grateful to the following organisations whose members provided subject expertise and contributed towards the written and video content. The project team would like to thank everyone who agreed to be interviewed or took part in discussion groups during research for this course. All content researched, co-ordinated and produced by Hyperfine Media. The Suicide Prevention programme is available to access using the Open access session. If you access the content using this link, you will not have to log in but your activity will not be tracked and you will not be able to generate a record of completion. If you do require evidence of your activity, you will need to register for an account if you do not have one. You can register by selecting the Register button below. If you already have an account with e-LfH, then you can enrol on to the Suicide Prevention programme by logging in to the e-LfH Hub, selecting My Account > Enrolment and selecting the programme. You can then access the programme immediately in the My e-Learning section.